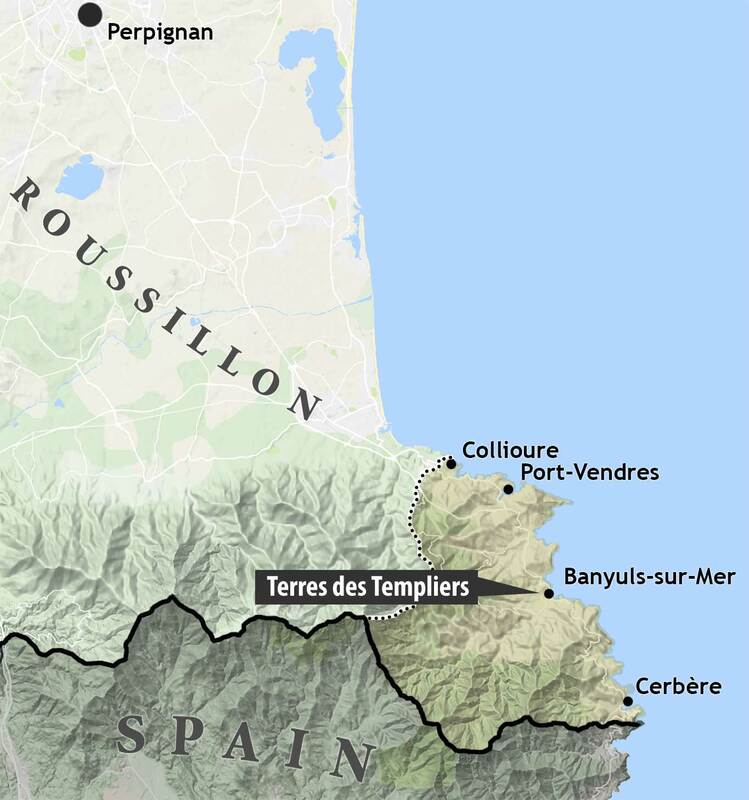 Located in the town of Banyuls-sur-Mer along the Côte Vermeille, where the Pyrénées meet the Mediterranean and the Spanish border, the cellars of Terres des Templiers sit on the road a half-mile above the seaside town, testament to the stubborn endurance and well-earned pride of its local denizens. Its name honors the Knights Templar, who are said to have built upon the system of feixas (terraced vineyards) and canals that crisscross—peu de gall, "rooster foot"—across the steep hillsides above the sea, where only grapes can grow. 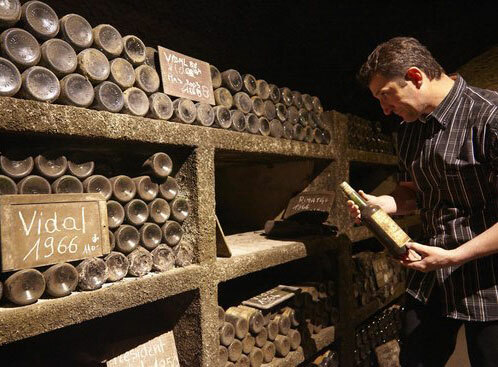 Today, Terres des Templiers incorporates 750 small vignerons farming 1150 hectares. The schist-dominated vineyards are by necessity worked by hand, and the practice is lutte raisonée. 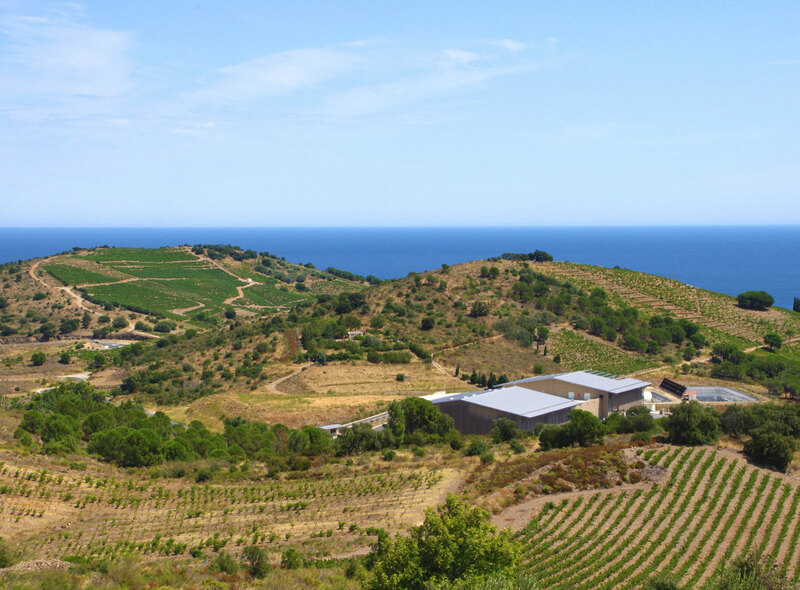 Under cellarmaster Jauffrey Canier, Terres des Templiers produce a range of Collioure and Banyuls, and maintain the ancient tradition of Rancio sec, the great historic wine of the region that predates Banyuls by centuries. 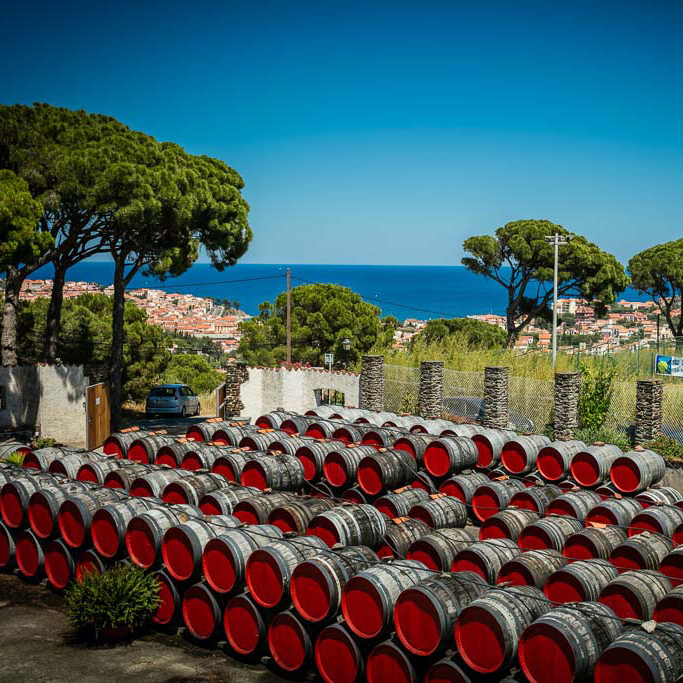 Aged oxidatively, the Banyuls traditionnel and Rancio sec are first set outdoors and exposed to the elements in old demi-muids, for up to four years, before returning to the cellars to complete their elevage. 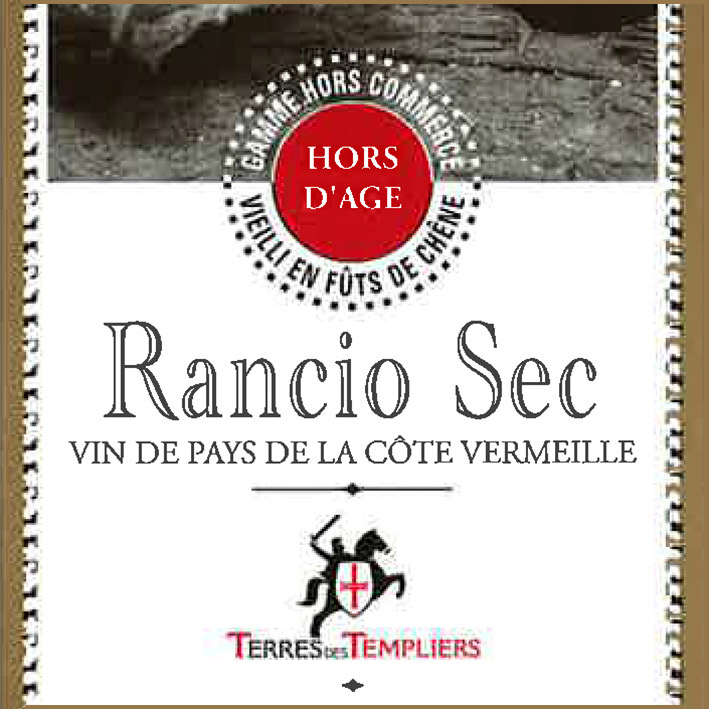 Just 400 cases of Rancio sec are bottled per year.